Coach Clarke shares a great template for a Clearing Stick Work drill. The goalie, who has the best view of the field, is responsible for communication. He directs two of the long pole defensemen to move the ball depending on how and where the attackmen are playing. Clearing the ball is covered in several different drills-sometimes the advantage is given to the clearing team, sometimes to the team that is riding. 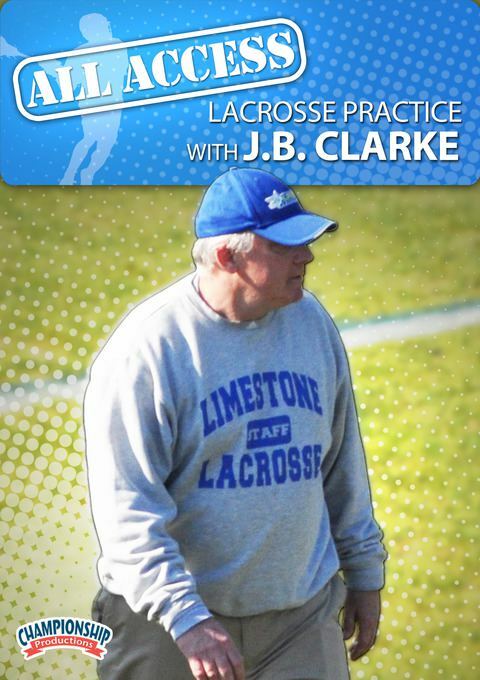 In every variation of the clearing drills shown, Coach Clarke's basic clearing philosophy is continuously reinforced.